Kelly & Close is currently looking for qualified candidates in the field of civil engineering. 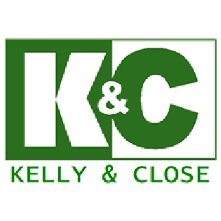 Please contact our team leaders for more information regarding a career at Kelly & Close. Project Engineer: Kelly & Close Engineers & Surveyors (K & C) is a Delaware County firm serving Private and Municipal clients in Delaware, Chester, and other surrounding counties of Pennsylvania and Delaware for more than 25 years. Recent spike in workload for private Land Development projects has created an opportunity for a qualified engineer to join our Private Team. Suitable candidate for this position will be a graduate engineer with 4 to 5 years of professional experience skilled in SWM, Grading, E & S Controls, Sanitary Sewers, State and Municipal Permits, AutoCAD, tasks delegation /coordination / monitoring, schedules / budget monitoring, and other project engineering tasks. E.I.T. or P.E. registration is preferred but not necessary. K & C offers excellent opportunities for learning / professional growth, competitive salaries commensurate with qualifications / experience, and excellent benefits package including paid vacation, sick leave, medical / dental insurance, 401K, etc. Please send resume as MS Word or PDF attachment to pjclose@kellyengineers.com. Project Engineer: Kelly & Close Engineers & Surveyors (K & C) is a Delaware County firm serving Private and Municipal clients in Delaware, Chester, and other surrounding counties of Pennsylvania and Delaware for more than 25 years. Recent spike in workload for Municipal projects has created an opportunity for a qualified engineer to join our Municipal Team. Suitable candidate for this position will be a graduate engineer with 4 to 5 years of professional experience skilled in Municipal Projects. P.E. registration is preferred but not necessary. K & C offers excellent opportunities for learning / professional growth, competitive salaries commensurate with qualifications / experience, and excellent benefits package including paid vacation, sick leave, medical / dental insurance, 401K, etc. Please send resume as MS Word or PDF attachment to jpkelly@kellyengineers.com. AutoCAD Designer: Kelly & Close Engineers & Surveyors (K & C) is a Delaware County firm serving Private and Municipal clients in Delaware, Chester, and other surrounding counties of Pennsylvania and Delaware for more than 25 years. Recent spike in workload for private Land Development projects has created an opportunity for a qualified AutoCAD Designer to join our Private Team. Suitable candidates for this position to have a minimum of 5 years of experience working in the civil engineering field. Strong AutoCAD Civil 3D/AutoCAD Land Development Desktop skills are required. Formal training in CAD is preferred. K & C offers excellent opportunities for learning / professional growth, competitive salaries commensurate with qualifications / experience, and excellent benefits package including paid vacation, sick leave, medical / dental insurance, 401K, etc. Please send resume as MS Word or PDF attachment to pjclose@kellyengineers.com.